Perhaps a Reality Check, Napa Valley? Napa Valley confounds me as to how it is able to change so radically from year to year. It’s not so much that there are new things popping up, but more that the price of the place keeps going up at an alarming pace. My last visit there was a touch over a year ago. It seemed to be the case that wine tastings generally ran about $5 minimum and up to $12 maximum with some rare $25 tastings like at Rubicon. This latest visit over the weekend showed that tasting fees have just about doubled. Finding a $5 flight seems nearly impossible and attached to that is the fact that you don’t even get to keep the glasses anymore, which wasn’t something that drove me to taste at a winery, but at least it was something. Don’t get me wrong, but I do completely agree with having some kind of tasting fee. Back in the days when there were no tasting fees, it was nuts. People got thoroughly tossed and were pretty much just mooching wine up there. The fees keep this in check to some degree, but as we saw there still are accidents along the treacherous Highway 29. But it has to be said that at some point the tasting fees are just out of hand. For $15, you maybe get around 2dl or a half glass of wine after finishing all the tastes; maybe. It’s actually getting to be cheaper to go to a wine bar outside the area to try new wines, which doesn’t make any sense when you’re tasting at the source. Time and again, I keep thinking that the wineries should band together to create a shuttle bus that picks people up at the Vallejo ferry terminal to a) cut down on road traffic b) cut down on drunk drivers and c) promote the valley more in an environmental manner. But, when I look at how much these guys rake in, like V. Sattui whose wine is crap and yet manages to sell 100,000+ cases just out of his winery, I understand why Napa doesn’t take on a shuttle project. And this is what it really comes down to: greed. Of course, this is starting to bite back at the wineries. Whereas San Francisco is flooded with tourists, all of the folks I asked up in Napa said that their receipts were down. All the Europeans coming to the City aren’t making the rounds up to Napa. Perhaps it is time for that shuttle after all? But, a lot of the folks up there were hoping that locals would come back more because of high fuel costs, except that we aren’t because to go and spend $10 on average to taste wines and then spend $35+ on a bottle of wine is not tenable. I know that this is going to be my only trip for the year. While I don’t know for certain, we might actually start to see some changes with how Napa does business. The wine market is flooded with tons of wines these days and good wines too, like those from Spain. 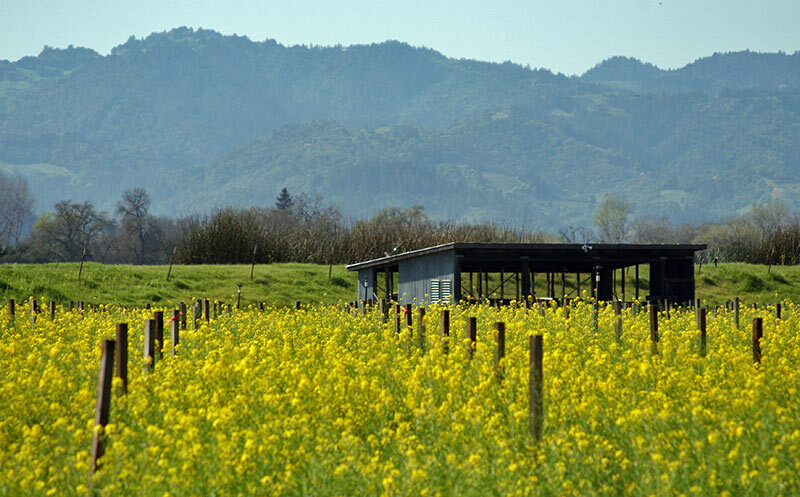 There are tons of other options in this area including Sonoma Valley, Alexander Valley, and Paso Robles. The latter of these has some of the best priced California wines I’ve had in some time. Who knows though, as Napa Valley has massive brand recognition and folks bound to amble up and back to there for some time to come, unless gas continues to be more properly priced.